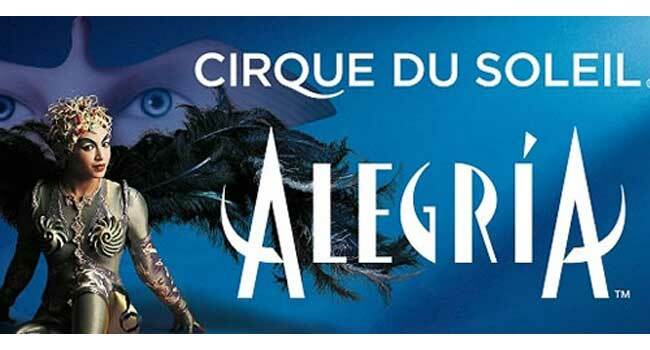 The first show by Cirque du Soleil that came to Barcelona, the magical and mesmerizing Alegria is back in Barcelona this holiday season for those who could not see it then or want to see it again. Thefirst show by Cirque du Soleil that came to Barcelona, the magical and mesmerizing Alegria is back in Barcelona this holiday season for those who could not see it then or want to see it again. In 2009, Alegria modified and adapted its big circus tent format to an arena format in order to be able to go to more cities that had until then been inaccessible to the show. So this time Alegria in Barcelona will be shown in in the Palau Sant Jordi from December 26th 2012 to January 6th 2013. It’s hard to find words to describe this fantastic spectacle by Cirque du Soleil who has revolutionized the circus world. It’s the third show that the company has created and has a much darker aesthetic than previous productions, the atmosphere and characterization were inspired by the gothic style and the songs are somehow melancholic. Since its launch in 1994, Alegria has been represented more than 5,000 times and has entertained over 10 million people in many cities around the world.